Another eye-catcher from Jordan Brand got a lot of attention after images of the Air Jordan 4 “Laser” surfaced, making it an expected hit once it is released. 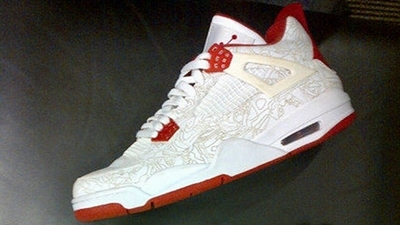 No official release date has been announced, but the “Laser” white/red edition of the shoe is expected to come out soon. The silhouette boasts the previous features of the “history of air” and previous “Laser” releases from Jordan Brand. Jordans Out will be keeping you updated!